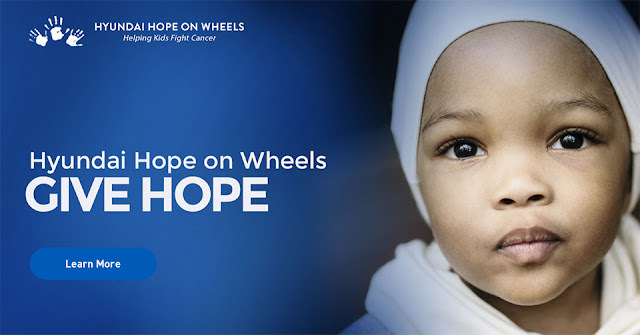 In partnership with INNOCEAN Worldwide, Hyundai has launched it's annual campaign for Hope On Wheels, a nonprofit supported by Hyundai in honor of National Childhood Cancer Awareness Month. The spot, titled "Our Greatest Feature," is the next iteration of Hyundai's "Better Drives Us" mantra. The ad shows a woman driving a Hyundai Sonata throughout the city, highlighting the many standard features Hyundai vehicles come equipped with. The woman eventually pulls up to a children's cancer hospital to meet a small child and her father, where it is revealed that the best standard feature on every Hyundai is Hope. In addition to the TV ad, throughout the month of September, Hope On Wheels will award 40 research grants to children’s hospitals across the country, adding $8.5 million in critical funds to the field of pediatric cancer research. Since joining the fight against pediatric cancer in 1998, Hyundai has funded over 840 research projects totaling more than $130 million. INNOCEAN partnered with Backyard Productions and Director Nick Piper to produce the national spot. The spot will air on broadcast and social channels. Additional details can be found by visiting HyundaiHopeOnWheels.org.